This volume reviews current developments taking place in public sector economics and covers issues in both public expenditure and taxation. 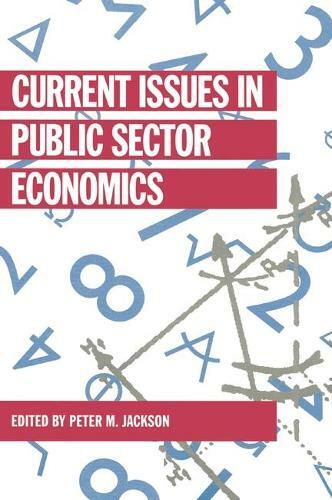 Trends in public spending, and their determinants, are reviewed along with recent developments in the public choice perspective and the analysis of the demand for public goods. Taxation issues include the incentive effects of taxation, tax evasion and compliance costs and taxation in developing countries. The book concludes with a discussion of the public sector and income distribution and fiscal federalism. Other topics include privatization and deregulation.